Philippines Justice Secretary Menardo Guevarra assured that law enforcement officials are working closely with authorities abroad to keep an eye on transnational drug rings seeking to enter the country. 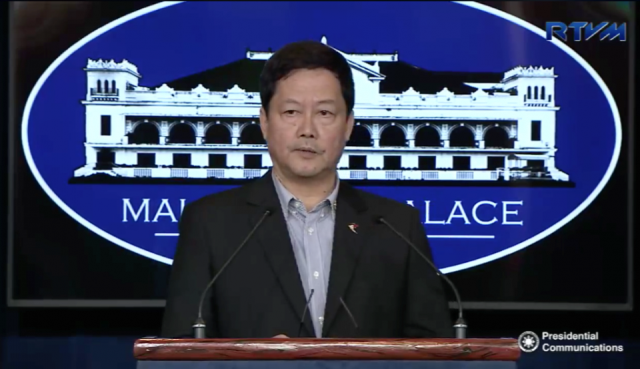 “The Bureau of Customs and the Bureau of Immigration are cooperating with their counterparts in foreign jurisdictions, as well as with the Interpol, in monitoring the movements of suspected international drug syndicates and their couriers,” Guevarra told the Philippine News Agency (PNA) on Friday. Earlier this week, the Makati City Regional Trial Court rescheduled the promulgation of the drug case filed against Horacio Herrera, a suspected member of the Sinaloa Mexican drug cartel, who arrived in the country four years ago with PHP12 million worth of high-grade cocaine. Herrera was supposedly in talks with members of a Chinese drug syndicate when he was arrested in an entrapment operation. In New York, Joaquin “El Chapo” Guzman, the acknowledged leader of the Sinaloa cartel, is fighting an indictment for drug trafficking, money laundering, and murder. The case has drawn international attention for the details bared during the trial, including an allegation that Guzman paid high-ranking Mexican officials to turn a blind eye to the operations of his drug cartel. Guzman was extradited to the United States two years ago after escaping from a Mexican prison.